I like this picture. I do wish Poe was more in focus, but I know in ten years or so, I'll look back on this photo and remember the way I would call her my baby bear and she would shout back, "I am not Baby Bear! I AM POESY!" She doesn't like it when you call her anything but her own name. And Squirt. Johnny somehow gets away with calling her Squirt. I think I'll also remember the way she wiggles her little fingers in her gloves when I put them on and the way she constantly brushes her hair from her face in the wind. This is so beautiful! She is so adorable & so lucky to have a mother like you! beautiful picture and beautiful words. you'll never regret cherishing reminders of sweet moments like these, that's for sure! This is such a sweet picture. Your poignant thoughts are so endearing too. It's great that we are able to capture these moments. this is such a gorgeous picture. i love the little memories this photo triggers. motherhood is so special. adorable :) that's why photos are the best!!! This is a fantastic photo. I find myself writing down silly things my son does and says all the time so I can remember them. Such precious little things that you know you'll forget if you don't document it in some way. Beautiful picture and equally beautiful words. I can be pretty forgetful myself! It is so nice to have those visual memories! This is such a beautiful picture of the two of you Katie! Your picture and text really touched me. Even more because sharing this on your blog seems very personnal. I really like reading your insights on skunkboy blog very now and then. How gorgeous the two of you look in this photograph. She is truly gorgeous. I love seeing your pictures of her! great mama and baby photo. you both look so content. and your words are so true. i love looking at old family. they bring back memories that might otherwise be lost. awwww!! that's so sweet! and they are just so precious when they are small! i miss that everyday! Such a heartfelt post and sweet picture. I love how photos can trigger memories that you have forgotten and bring you back to that special time. Oh my gosh what sweet photo <3 You should frame this one, it's def a keeper =) Love you two girls! you are the sweetest, most beautiful mama! this is such a wonderful mother-daughter photo, especially with your words! This photo is so beautiful and your description is precious! Baby bear is such a cute nickname. I bet she loves your memories when she is older. So cute! Woohoo for memories! This is a beautiful pic. 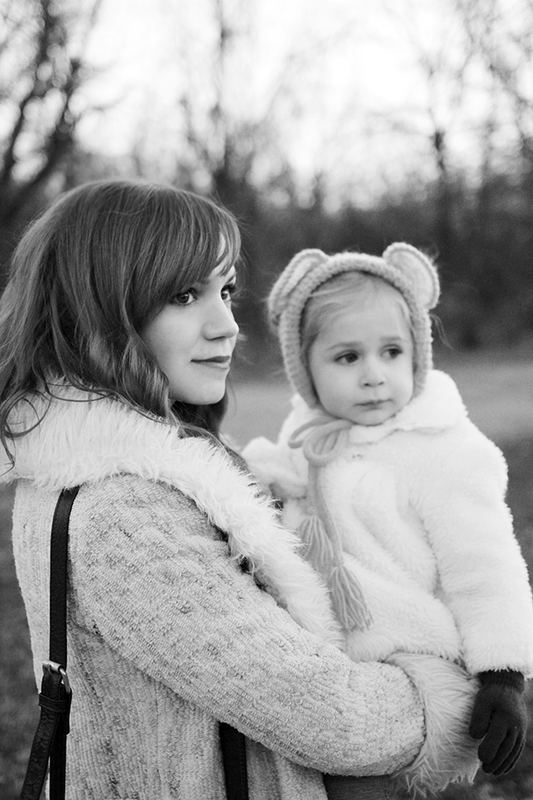 I love when a particular picture of my daughter or us together makes me feel something deeply. how sweet (: i love it. My parents used to call me "shrimp" and I would answer very indignantly "I AM NOT A SHRIB". It's a major insult to be anything other than yourself as a wee one it would seem! It is a lovely photo. As I type this, I am looking at a picture of my wife and I on our wall. It is one of our favorite pictures of us even though we are both slightly out of focus. She says that if it was in focus, it probably would just look like every other picture we took together...yada yada yada. I love the fact that neither of you are looking at the camera. Gotta love snapshots in time!